After four days of competition, the two teams set to compete for Canada’s top junior lacrosse prize have been determined. 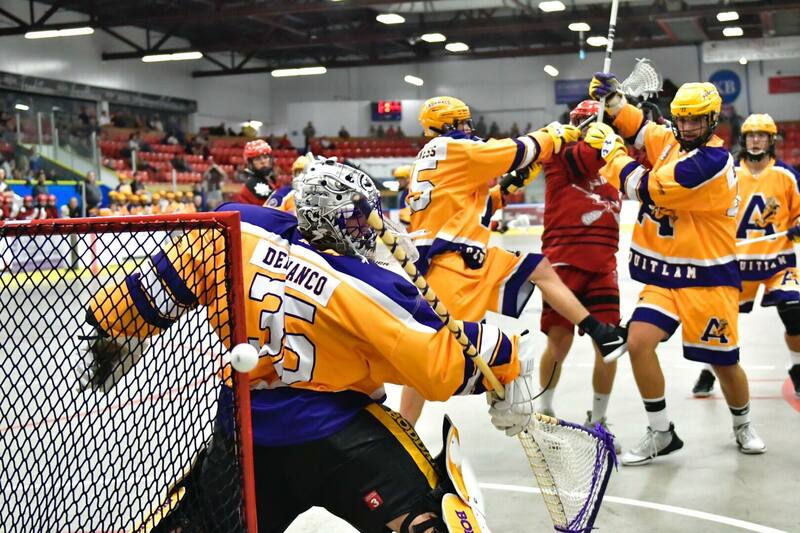 The Brampton Excelsiors will take on the Coquitlam Adanacs in a best-of-five series starting tonight to determine this year’s winner of the Minto Cup taking place in Calgary. Brampton earned their way to the finals by going a perfect 3-0 in round-robin play. The Excels’ offense was rolling, putting up 52 goals in three games including a 25-goal explosion against the Okotoks Raiders. Captain Jeff Teat didn’t disappoint the spectators in Calgary giving them their first glimpse at the talented lefty. With a Mark Matthews-like poise to his game and surrounded by talented forwards, Teat effortlessly quarterbacked Brampton’s offense through the round robin and into the finals. Teat led all scorers with 28 points, while teammate Clark Petterson collected 19 points. The Excelsiors also sport the best power play of the tournament so far going 16 for 21 for a whopping 76% efficiency. In their 10thstraight appearance at the Minto Cup tournament, the Coquitlam Adanacs advanced to the finals by beating the Raiders in the 2nd vs 3rdplace game. In a close game, it was standout goaltender Christian Del Bianco shutting the door in the final frame and backstopping his team to an 11-5 victory. Up front the Adanacs are a fast, well-balanced team that moves the ball extremely quickly. In their opening game against Calgary, Coquitlam scored three times in the opening 90 seconds. A standout for the yellow and purple has been Chase Scanlan. Possessing exceptional footwork, the speedy 6’1 right hander has posted 10 goals and 11 assists in four games. The Okotoks Raiders Minto tournament got off to a rough start with a blowout loss to Brampton which included losing team captain Harry Matsuoka to injury. Credit head coach Andrew McBride and the entire team for sticking with it and playing three highly competitive games. The Raiders were able to beat the Mountaineers and advance to a one game playoff against the Adanacs which they eventually lost. 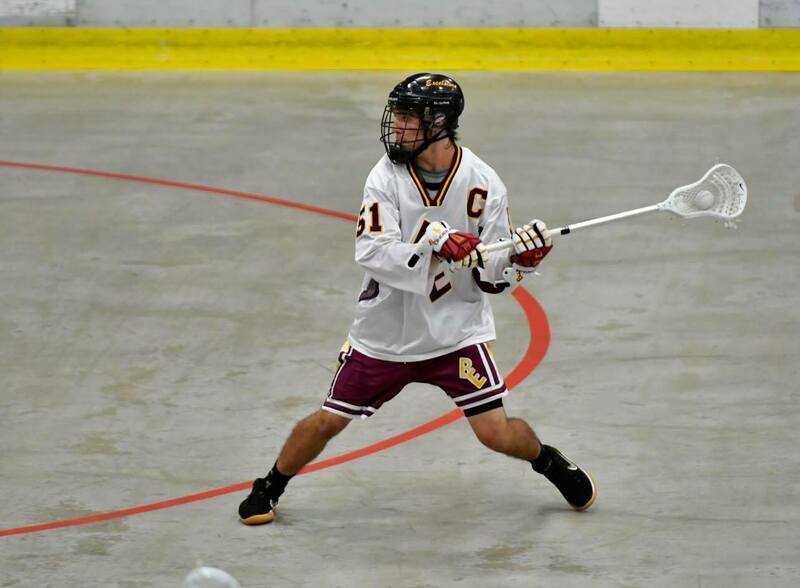 The young Calgary Mountaineers squad came into the Minto Cup looking to gain experience against the country’s top junior teams. While the tournament didn’t go as they had hoped, the team celebrated a few special moments. Graduating player Graeme Stokes scored his first career junior goal in the third period of their game against the Excelsiors. The next evening, team captain and defender Ryan McLean, playing in his last junior game, scored with just one second left to go.